The days of waiting for “normal business hours” to get good customer service are gone. You no longer have to wait until 8 a.m. to dial the phone and hope you get someone knowledgeable on the other end of the line to answer your questions. 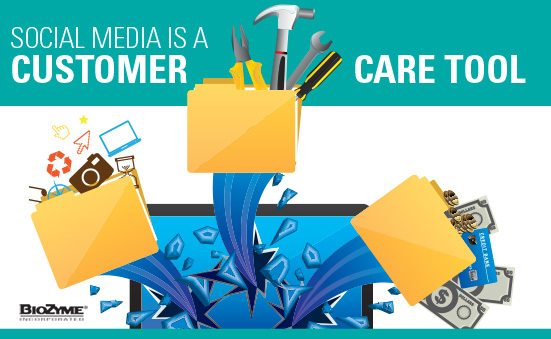 With social media at our fingertips, it is now viewed as a customer care tool as well as a marketing resource. Responding or not responding to those customer inquiries can be vital to your company. A Gartner study showed that inquiries that are not responded to will eventually lead the company to a 15% churn rate or loss of business. Conversely, if a company engages and responds to a customer on social media, that customer is likely spend an additional 20-40% more with the company. We’ve listed five best practices to use social media effectively as a customer care tool. Follow these steps for increased customer retention and growth. Pick the platform that’s best suited for your audience. If you know that your audience is 30-65 year-olds that primarily use Facebook, that is the platform you need to use. There is no need to be on Instagram or even Snapchat. Use the platform you know will have response and engagement from your customers and potential customers. Monitor social media. This doesn’t mean you need to sit and stare at your computer all day after you make a post or watch and wait for someone to mention your product. However, you do need to check your alerts for comments and direct messages and be sure you are responding to your customers in a timely manner. Speed matters. In a survey conducted by The Social Habit, 25% of social users would like a response within the same day, while 42% expect a response within an hour. Tye said it is her goal to respond to customer care inquiries on BioZyme social platforms before the end of the day the message came in, and she usually is a lot quicker than that, depending on the time of day of the inquiry and how much research needs done to respond. Know when to move the conversation offline. This doesn’t mean removing a customer’s post, unless it contains vulgar or profane language. However, not all issues can be resolved on social media. Perhaps the customer needs to visit over the phone with a nutritionist or an ASM for clarification or deeper understanding. But remember, direct them to the correct person initially. No one likes getting the run-around and being told they need to talk to someone else. Customer service is key to retaining and growing your customer base. Make sure you are using the latest technology to answer customer questions and provide them the timely service they have come to expect. Social media is more than a marketing tool, and when used properly can be a great customer service resource. You’ve got product, and you’ve got a sales staff. But according to your accounting records, your product sales haven’t shown much growth lately. Perhaps it’s time to invest some resources into training your team, and start seeing an increase in your business. According to a Dale Carnegie Training Center study, 40% of employees who receive minimal to no training will leave their job during the first year, stating that they are dissatisfied with their position in the company and overall lack of training, so they don’t feel like part of the team. The same study revealed that employee turnover costs U.S. business owners $11 billion annually. You can see from those figures that making a small investment in training can save you money and potentially grow your business, as it costs less to hire and keep employees than it does to rehire employees on a regular basis. Your business will be more organized, and your employees will feel more knowledgeable and appreciated. To put the advantages of a well-trained sales force into perspective, one study showed that once a group of Kinko’s employees were properly trained, that sales force generated three times as many sales of a new product compared to their peers who did not receive training. If you could increase your bottom line by three times, wouldn’t that make the investment of employee training worth it? Your business will also benefit from training employees through overall productivity. Employees will know more about the products they are selling and how to engage with potential and current customers while being able to comfortably talk about those products. In addition, the employees will be happier, and feel more like part of the team and not just a robot that you’ve got on the staff. Once you have your sales force trained and start to see sales grow, be sure to let your employees know you value them and their efforts. You might think that a pay check twice a month is appreciation enough. However, a study by the International Society of Performance Improvement on performance improvement, found that incentive programs could increase employee performance by 22% in individuals. There are several inexpensive ways to offer employees incentives for meeting pre-specified goals without cutting into your increased profits. A few ideas include pre-set commission for predetermined sales above a certain benchmark; paid time-off or flextime for exceptional work or increased sales; host a luncheon in their honor for a big sale or a new customer you’ve been working hard to get – most everyone enjoys pizza or a burger and the added camaraderie is a bonus too; provide them with a gift card to their favorite store or restaurant. Don’t forget the value of the employee’s family. Bonuses and incentives that keep the family in mind include gift cards to the bowling alley or movie theater, a family gym membership or tickets to the rodeo or an entertainer that is coming to town. How many times have you seen a football team win by a last-second field goal? The kicker has paced the sideline for most of the game practicing his kicks and keeping that leg ready to go. Although he might not have as much playing time as the quarterback, his participation on the team is of utmost importance. The same can be said for your customers. You might not see them every day or even communicate with them on a regular basis. 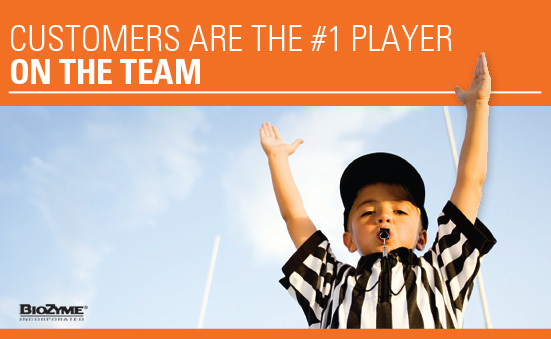 Their “on-field” time might seem minimal in comparison with your employees and vendors, but without customers on your team, you’re not even in the game. Oftentimes you only hear from a customer if he or she needs product or if the customer is disgruntled with a product or service – and that isn’t what you want to hear. It is important to follow up with every customer and ask for feedback, and let the customer know that positive or negative, the feedback they provide is important to your team. Always be receptive and responsive to feedback. Regardless of the timing or channel, organizations who are prepared to receive and acknowledge customer feedback will have more loyal and engaged customers. This includes phone calls, letters, emails and even social media. Create an environment built on trust. This means when asking for feedback, clearly state why you want the feedback and what you intend to do with it. In the agricultural world, trust is the foundation of all we do. If your customers don’t trust you, they likely won’t be a part of your team for too long. Empower customer service teams to solve problems and seek feedback simultaneously. Since most dealers are smaller and not staffed by a sales team and a customer service team, training all employees about the products and how to work with people is more important than ever. A great way to do this is through the new Master Dealer program. For more information about this program, visit www.biozymedealer.com and click “Master Dealer” in the menu. Once you receive customer feedback and review it, follow up. Customers offer a fresh perspective, and perhaps their idea will help increase sales or bring in a new customer. At the very least, knowing that you acknowledged their feedback will help encourage a positive business relationship and should help your team keep a winning record. Location, location, location, or is it relationships, relationships, relationships? Definitely relationships. Find them, nurture them and watch sales soar. At BioZyme®, that last sentence is key to how we view our responsibility to each of you. This is what really differentiates us from the many options you have in selecting a company’s mineral program to bring into your dealership. At BioZyme, we believe our relationships will become your relationships and vice versa if we find, nurture and soar. To reach our full potential we all need to find meaningful connections with a very broad palette of folks who see things differently than we do, ask very different questions and imagine very different possibilities. 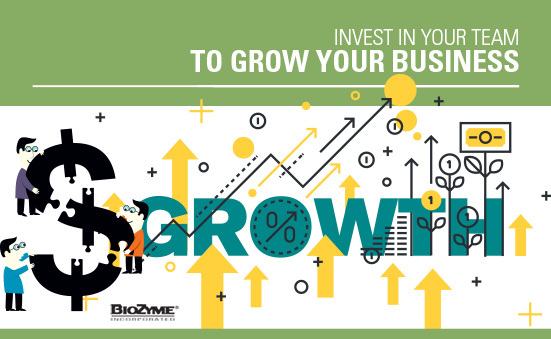 BioZyme is committed to finding these meaningful connections so we can connect you. Our exclusive partnership with Superior is one of those connections. 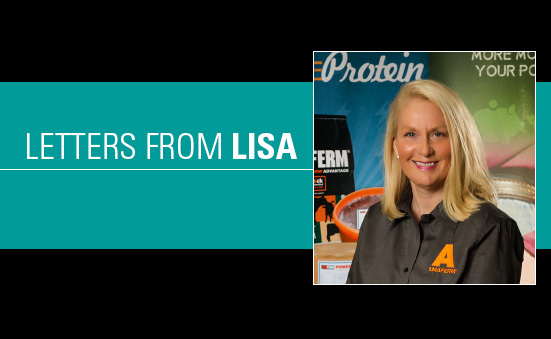 As the data continues to roll in and the exclusive value-added nutrition VitaFerm® Raised and Gain Smart® emblems equate to significantly more per pound (currently a 7 cent per pound advantage), the connection will help sales soar. Eighty-one to 90% of customers research your business before they make a purchase. Researching your business means that they go out of their way to learn about who you are and what you do, try to figure out if they can trust you enough to solve their pain points and watch your ‘moves’ to see if you truly deliver on the results you promise. In today’s business, it is important to establish and nurture a relationship from the very first contact through a carefully crafted process, up until the customer is ready to trust the products enough to make a purchase. BioZyme is committed to making sure at every one of these touch points information is easily and readily available, the products do exactly what we say they do and new products are added that assist with their pain points. We strive to help make business more sustainable – yours and theirs. Do you have a nurturing process in your business that leads your customer up to a sale and other repeat businesses? If not, take the time, find a way. An important ingredient in business is celebrating each and every triumph—and forgetting about each and every failure—both with the people around you and with yourself, too. BioZyme is committed to helping you remember just how amazing you are each and every day. The defining attribute of a great business relationship is when each party has an emotional stake in the other’s success. That defines this team. So all we need to do is . . . . Take the Time. Find a Way.